Lest you think Hollywood is running out of good ideas—or even good movies to remake—according to The Hollywood Reporter, Tim Hill is attached to direct a redux of Oh! Heavenly Dog for Fox 2000. (Hill is the man responsible for reviving Alvin And The Chipmunks for the studio in 2007, as well as the director of the 2014 holiday monstrosity Grumpy Cat’s Worst Christmas Ever.) Hill will direct with Brandon Camp, son of original writer Joe Camp, attached to write. Expect several jokes about dogs eating their own feces in this fun-filled outing for the entire family. 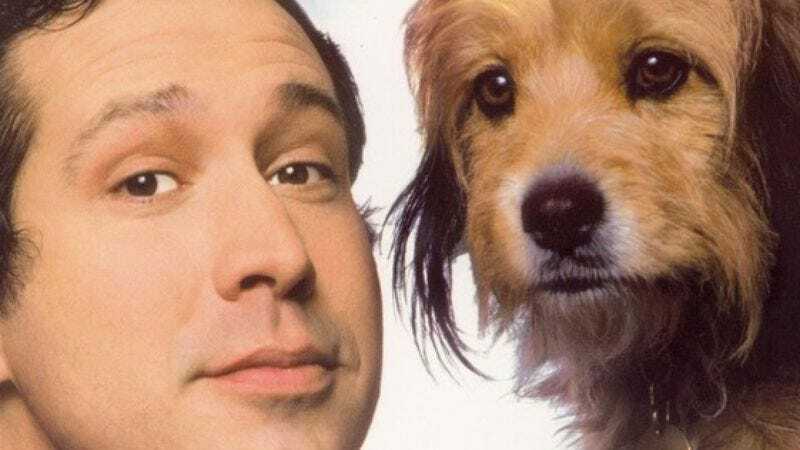 The 1980 original starred Chevy Chase as a private investigator who dies, is reincarnated as a dog, and is tasked with solving his own murder to ensure that he gets into heaven. (That certainly sounds like something from the New Testament.) The canine in the original film was a descendent of the original Benji—who died in 1975—and in 2004, Joe Camp wrote and directed the reboot Benji: Off The Leash!, which dealt with the fictionalized search for a new Benji. But with the new take on Oh! Heavenly Dog still in the early stages of production, the studio is probably less concerned with finding America’s next top canine than with Chase sniffing around the set, because animals are apparently easier to deal with than Chevy Chase.